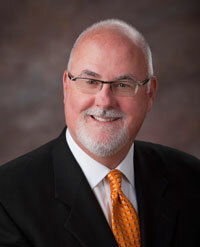 Mr. Warren has over 30 years of health care management experience. He started his career as an administrator of a small rural Kansas nursing home and advanced to operating facilities in metropolitan markets with a strong emphasis on Medicare sponsored geriatric rehabilitation. Capitalizing on his operating success, Warren syndicated an investment group to purchase his first nursing facility in 1988. In 1990, he and other partners formed Vintage Group, a development, management and operations company with emphasis on assisted living and long-term care facilities. His group built their first assisted living facility that year. For the next ten years Warren and his associates specialized in the development, construction and operation of upscale assisted living and skilled nursing facilities. Their scope of services has included numerous continuing care campus programs, along with Alzheimer’s and related dementia facilities programs. Brian Warren is President of Foundation Properties Corporation a skilled nursing home and assisted living development and management company he formed with his partner Philip Brooks. He and his partners are owners and operators of eight assisted living facilities, six nursing homes, and a home health agency, in Kansas and Nebraska. Warren is active in the long-term care and assisted living industry trade associations. He is past president of Kansas Chapter of the American College of Health Care Administrators. Warren was a board member of the Kansas Health Care Association for over four years, and was elected as Chairman of the Board of Butler Community College where he served for eight years. Warren holds an undergraduate degree in Health Care Management and maintains numerous professional memberships. He is a licensed nursing home administrator.